Sidney and I made some homemade body and hand scrubs tonight as Christmas gifts. Fun! I really love sitting and making goodies with with her. Wonderful mother daughter time – got to do it again soon. Mix well and divide into four 1/2 cup sealable jars (like canning jars). Decorate jars with ribbon and labels. 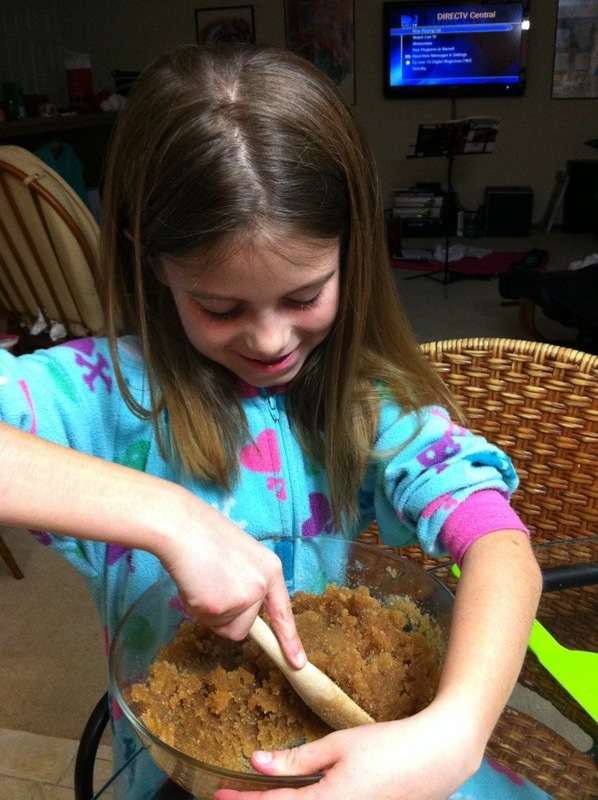 This entry was posted in Projects, Recipes and tagged brown sugar, lemon, Scrub, Sidney. Bookmark the permalink.